Wallpaper Borders are a simple trim that add a lot of style. Select your Wallpaper Borders here today. Wallpaper Border. 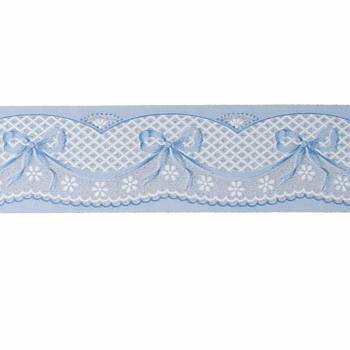 Made in England, this Ribbons and Bows peel and stick border is easy to install. Just peel and stick. This convenient, attractive vinyl border can be used over embossed papers for added effect. This measures 32 13/16 in. long x 2 1/8 in. high. 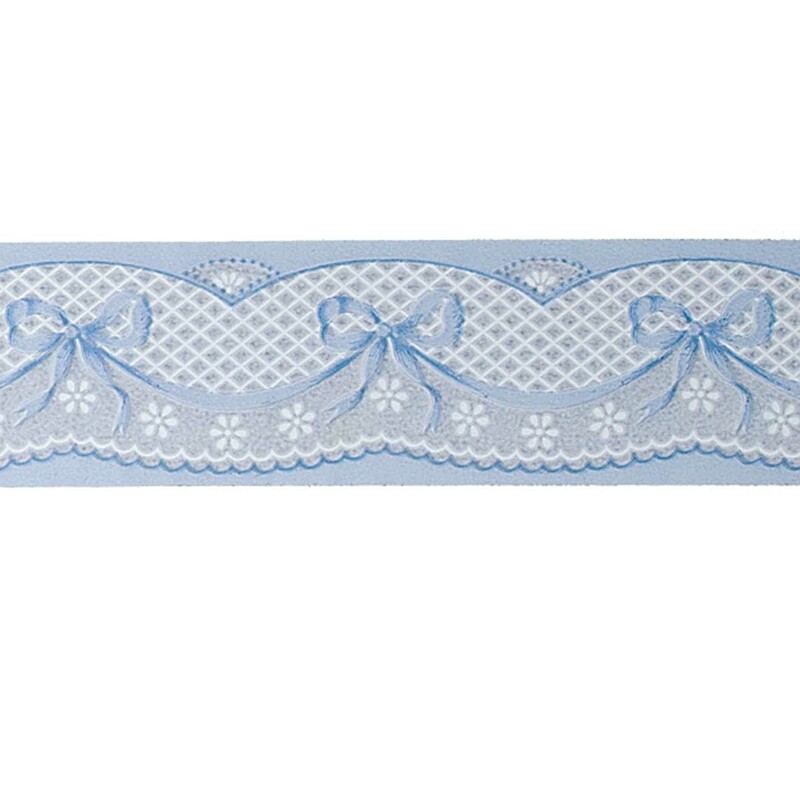 The horizontal repeat is 2 1/2 in.